Lexus has been at the top of the J.D. Power survey for six consecutive years. 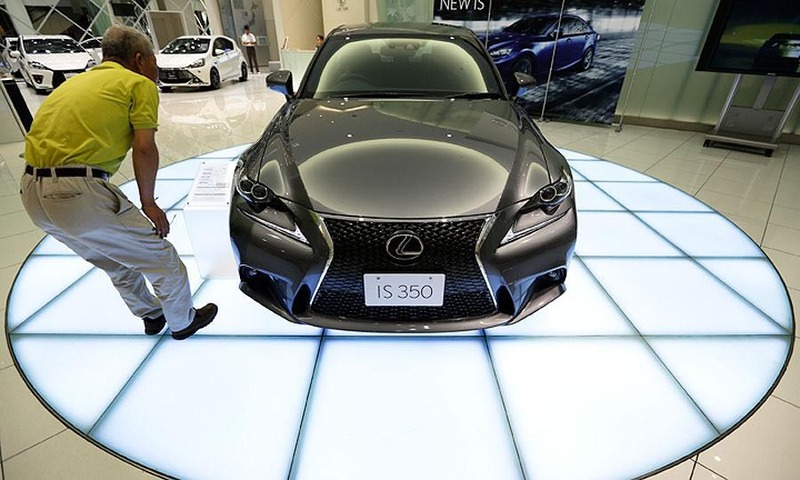 Lexus and Porsche are the auto brands that showed the fewest problems after three years of ownership, though technology troubles continue to drag down dependability ratings overall, a new survey from research firm J.D. Power finds. On average, owners of 2014 models reported 156 issues per 100 cars in the past 12 months, up four from last year’s survey, J.D. Power says in the 2017 U.S. Vehicle Dependability Study. Some 22% of the problems involved balky tech, whether it was related to audio systems, communication, infotainment or navigation. Last year, the figure was 20%. Most problems involved smartphones and other devices that refused to pair through Bluetooth and voice-recognition systems that had trouble recognizing voices. Next came batteries that failed or wore out prematurely. Interestingly, the 10 bestselling models also averaged fewer problems, some 134 per 100 cars. The best-selling truck, the Ford F-150, and car, Toyota Camry, led their respective categories. “Buyers are increasingly avoiding models with poor reputations for dependability, so manufacturers can’t afford to let their quality slip,” Dave Sargent, vice president of global automotive at J.D. Power, said in a statement. As for best brands, Lexus and Porsche tied for first place for fewest problems with 110 per 100 cars. Lexus has been at the top for six consecutive years. The worst brand was Fiat, with 298 per 100 cars, followed by Jeep and Infiniti. Toyota and Buick came in third and fourth, respectively, marking strong showings for non-luxury brands. “The good news is consumers don’t have to spend a lot of money to get a very dependable vehicle,” Sargent said. The most improved brand was Hyundai, which shed 25 problems per 100 vehicles to come in at 133. It ranked sixth, up from 19th last year. Power says it was Hyundai’s best-ever showing. Dodge and Ford improved by 21 problems per 100 vehicles, and Land Rover was up by 20.